Last month, Alex Ridha and his own Boys Noize Records announced a world tour, kicking off in Miami before heading to Europe. 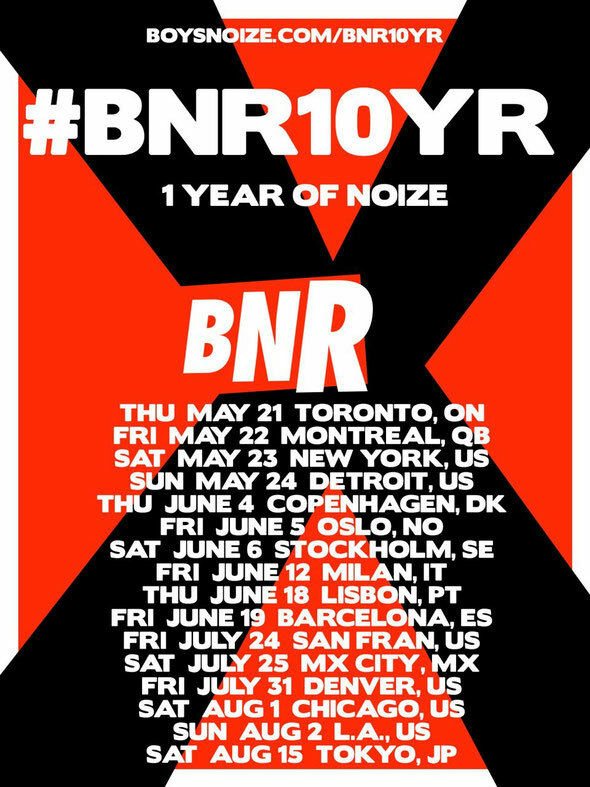 With the full label crew and friends from around the world including Tiga, Modeselektor, Busy P, A-Trak and Peaches hitching a ride on the BNR Express, the label recently announced a further 15 dates, spanning three months and a further 10 countries from Canada to Japan. It’s been 10 years since the very first record released on Boysnoize Records saw the light of day, gaining world-wide recognition as a premiere DIY collective, nurturing talent and allowing its artists to escape cramped genre pigeonholes. 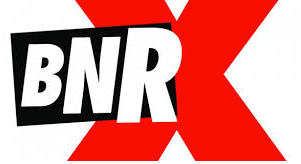 TAlex founded BNR in 2005 to retain full artistic freedom under Boys Noize and his different monikers, while releasing the music of like-minded artists including Spank Rock, SCNTST, Djedjotronic, Strip Steve, Peaches, PILO and many more. The celebration kicked off last month with an exclusive free BitTorrent bundle featuring unreleased music, live mixes and other BNR content. The bundle consists of over five hours of music, including two new tracks from Boys Noize (‘Brain Frequent’ and ‘Dawnload’), a live Boys Noize set from Tokyo, a live Dog Blood set from Monegros Festival, an unreleased Boys Noize remix of Jackson and his Computerband’s track, ‘Arp #1’, two unreleased SCNTST tracks (‘Punk01’ and ‘Beat03’), and a curated selection of 25 songs, the best of BNR classics. Visual assets include a Dog Blood drawing, a collage of BNR album artwork from the past 10 years, and the BNR10YR logo designed by BNR's long-time designer, Paul Snowden. 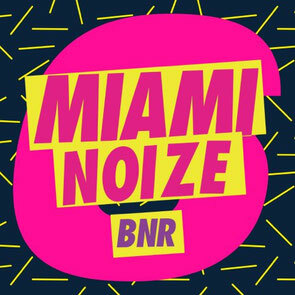 In advance of landing in Miami for the first of the #BNR10YR tour dates on 23 March, Boysnoize Records are releasing ‘Miami Noize Vol. 6’, a 13-track compilation showcasing BNR’s musical palate.